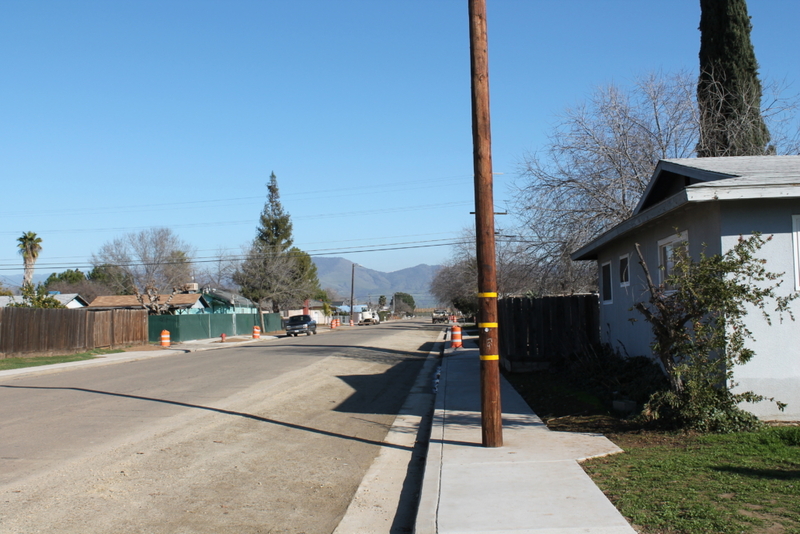 Orange Cove CMAQ Sidewalk Project – Yamabe & Horn Engineering, Inc. Working under contract as the City Engineer for the City of Orange Cove since 2001, Yamabe & Horn secured federal funding through the Congestion Mitigation and Air Quality Improvement Program to improve the sidewalks, curbs, and gutters on B and D Streets between McCord and Conner Elementary Schools. Yamabe & Horn was responsible for every stage of development, from securing funding to scheduling the construction and managing contractors to execute the improvements. While analyzing the list of potential improvements to make within the City, Yamabe & Horn identified a project that had a high likelihood of successfully securing CMAQ funding through the Fresno Council of Governments during their annual approval cycle. 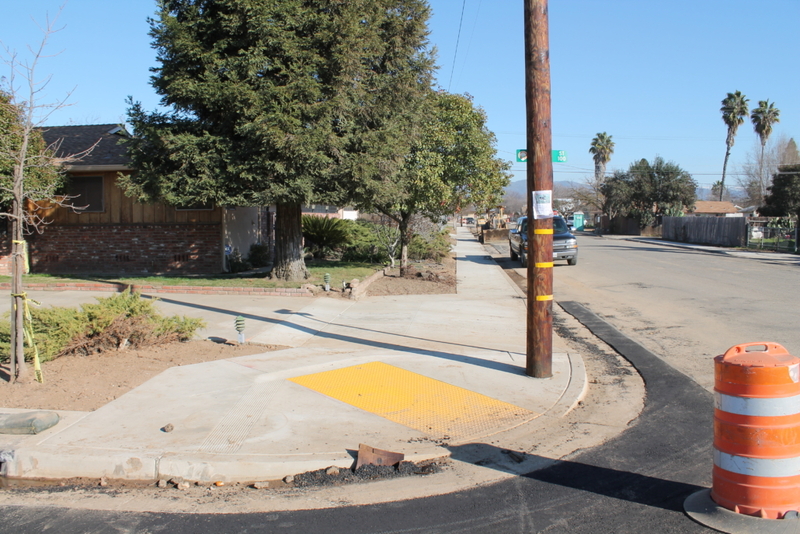 The project covered B and D Streets as both experience significant pedestrian traffic between two elementary schools, yet had unimproved shoulders that created various obstacles and safety issues. 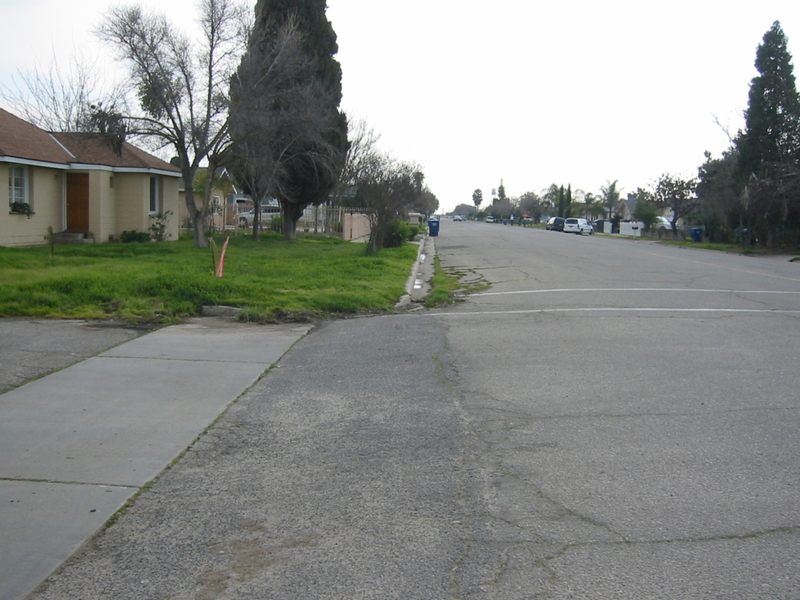 Given Yamabe & Horn’s knowledge of the COG funding guidelines from past success, improving the shoulders of these streets with sidewalks had a high chance of funding success while bringing significant improvement to the path taken to and from school each day. With significant experience and success securing funding through the Fresno COG, Yamabe & Horn handled the entire application for the City, securing $128,000 in the process. Once funding was secured, Yamabe & Horn facilitated resident engagement with meetings at City Hall as well as letters to the residents along the improved sections. They provided the letters in Spanish as well to serve part of the community that didn’t speak English as their primary language. Yamabe & Horn even fielded calls from residents, providing Spanish speaking staff when needed to meet their needs. During this interaction with the residents they were able to work around encroachments, existing structures, and also facilitate special requests from a handful of residents that wanted approach ramps added to their property off the alley or side street. Yamabe & Horn also factored in repavement of the roads the following summer when school was out to complete the street improvement. Hydrants Relocated: These were moved to better access locations that were less obstructive to pedestrian traffic as well. Alley Approach Ramps: Access to the alleys along the street was improved to make vehicle travel down them easier.